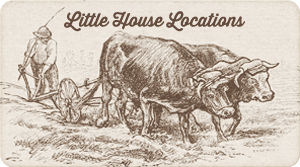 NEW YORK (June 7, 2016) – Knockout Licensing is pleased to announce the signing of Dundalk LeisureCraft, Inc. as the newest Little House on the Prairie® licensee. 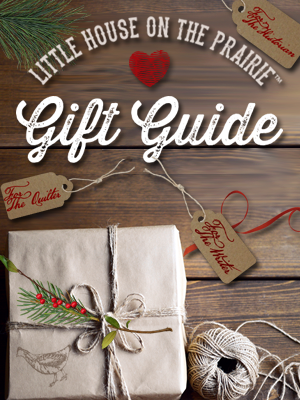 “Little House on the Prairie is a wonderful representation of frontier America and the perfect brand for Dundalk and other manufacturers attuned to the enduring appeal of simpler times and that hardy, pioneering spirit millions have come to know and love thanks to Little House on the Prairie and its stories of love, home, family, joy, optimism, and perseverance,” said Knockout Licensing President Carole Postal. Dundalk has been granted rights to produce a line of high-quality, handcrafted Little House on the Prairie rustic wood furniture for sale throughout the U.S. and Canada. “Dundalk’s beautiful wood furniture has a sturdy simplicity that fits well with the strong, time-tested, basic values the Little House on the Prairie brand represents,” said Friendly Family Productions CEO Trip Friendly. “Little House on the Prairie rustic wood furniture from Dundalk will be a great addition to houses on the prairie, in the big woods, by the shore, in town, or wherever else fans of rugged, attractive, handcrafted, log style furniture make their homes,” said Dundalk Leisurecraft Sales Manager Mark Boulding. Little House on the Prairie remains popular in syndicated reruns and has been on the air in the U.S. continuously since its original run. In addition to airing on local stations, it is currently broadcast in the U.S. on the Hallmark Channel, INSP (The Inspiration Network), and Cozi TV. Little House on the Prairie can also be seen in more than twenty-five other countries worldwide. 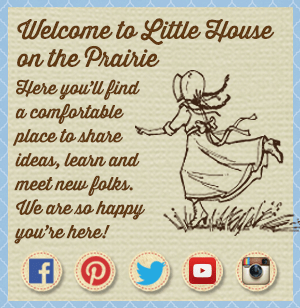 The official Little House on the Prairie® website was launched in March 2015 and serves as a home for fans of the classic books, television series, and the beautiful culture that has developed around them. Website visitors can celebrate their pioneering spirit by engaging with fun lifestyle content related to cooking, crafting, gardening and family activities. 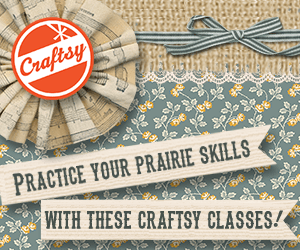 Fans can also learn about the rich history of Laura Ingalls Wilder and find inspirational quotes and interviews. Dundalk LeisureCraft is a family owned and operated Canadian manufacturer of quality leisure, home and garden products. Dundalk’s Outdoor Log Furniture, Indoor Log Furniture, Cedar Barrel Saunas, and Cedar Gazebos are handcrafted in Dundalk, Ontario Canada. Dundalk’s unique products and strong commitment to quality have resulted in worldwide demand for its products. Friendly Family Productions (FFP) is a Los Angeles-based entertainment company which owns film, television, merchandising, theme park and other rights in and to the beloved Little House books by Laura Ingalls Wilder, as well as to the Little House on the Prairie® trademark. 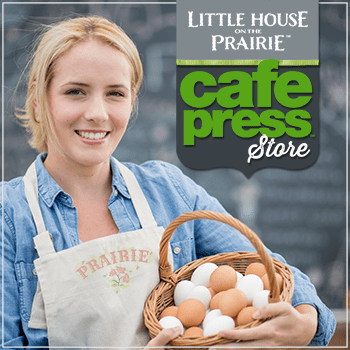 FFP launched the official Little House on the Prairie® website in March 2015 and has a highly engaged social media following. The company executive produced a documentary called “Little House on the Prairie: The Legacy of Laura Ingalls Wilder”, which was a #1 bestseller on Amazon. The Company is managed by Trip Friendly and Rebecca Friendly. Knockout Licensing (www.knockoutlicensing.com) is a dynamic, full-service boutique licensing agency that delivers results with the highest level of client service. In addition to beloved classic family franchise Little House on the Prairie®, notable Knockout Licensing client properties include television series Downton Abbey (NBCUniversal International Studios), Outlander (Sony Pictures Television), and Poldark™ (iTV Studios); social media sensation Boo, The World’s Cutest Dog™; the Smithsonian Libraries’ Seed Catalog Collection, The Michelangelo Collection™, Scandinavian design brand Finlayson, Rita’s Water Ice™ and more. Knockout’s work on behalf of British television drama Downton Abbey™ (NBCUniversal International Television Studios) was recognized with a 2016 LIMA Licensing Excellence Award as “Best Television, Film, or Entertainment Live Action Program” for its unprecedented program spanning various product categories with a classic lifestyle brand positioning. Formed in 2012, Knockout Licensing is a joint-venture headed by CopCorp Licensing’s Carole Postal and TK Brand Group’s Tamra Knepfer, bringing together two of the most well-respected professionals in the industry.